While all employees play a role in a company’s success, an organization’s salespeople drive revenue most directly. That’s why, when it comes to sales hiring, it’s more important than ever to find the right candidates. Finding the salespeople who will be most successful goes beyond simply reviewing qualifications or previous sales success. 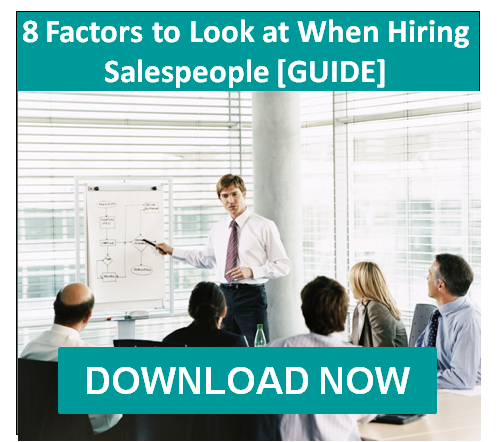 You also need to know what type of person will perform best in your organization’s unique sales environment, and you need sales assessments to find those people. Remember, past sales success is certainly an important component of the selection process, but it doesn’t paint the full picture of a candidate's potential. That’s what sets Select International’s sales assessments apart and enables you to make informed decisions based on results related to your organization and open positions. Many sales assessment tests concentrate solely on the numbers, assuming that a person’s previous sales track record will predict his or her future sales success. However, this leads to some common problems for organizations hiring sales professionals. The most basic problem is overall poor hiring, which leads to lost productivity and high turnover, or fewer leads and stagnant revenue because of lackluster prospecting skills. Similarly, poor hiring of sales managers or hiring high-performing salespeople who struggle in their new role as leader often leads to mediocre results from the entire team. Select SalesPro® and Select SalesPro® Manager help your organization choose the right types of individuals for your sales roles by creating a complete, descriptive profile of your candidates. These in-depth sales assessments save your company the time, money and resources involved in interviewing applicants who aren't a good fit for the position. To learn more about our sales solutions, request a demo.